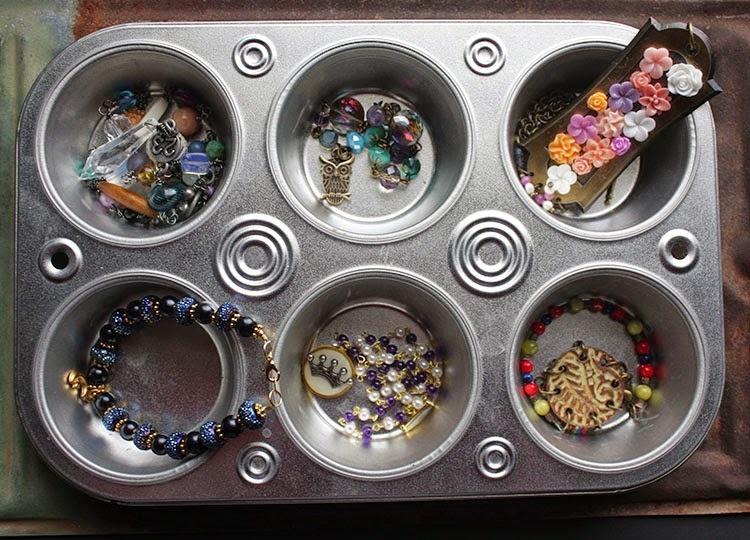 Earlier this week, I showed you the beads and bits I had gathered for Humblebeads' Muffin Tin Jewelry Challenge. 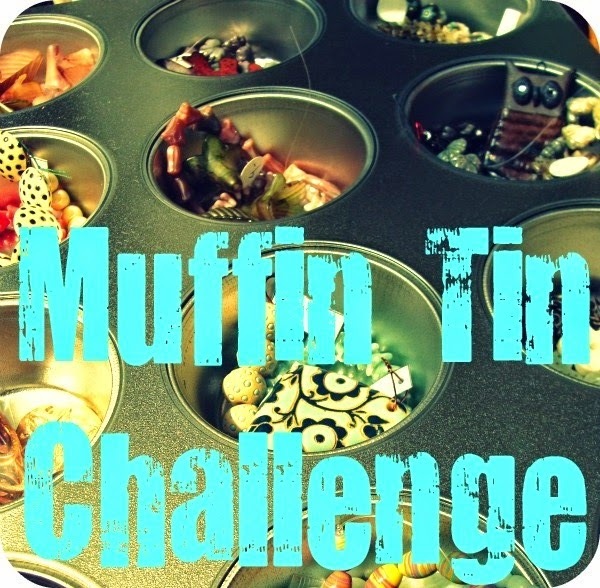 Basically, you take a muffin tin, fill each cup with supplies to make a piece, take a picture, make your pieces, and reveal. Fun, right!? 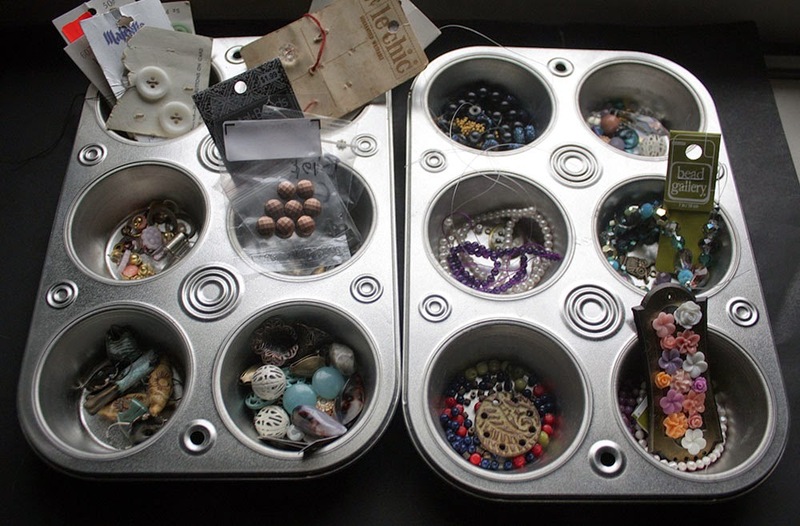 In the left tin are supplies to make earrings and on the right, I gathered supplies to make necklaces and bracelets. You can watch my video of my prep and the content of the cups on YouTube. 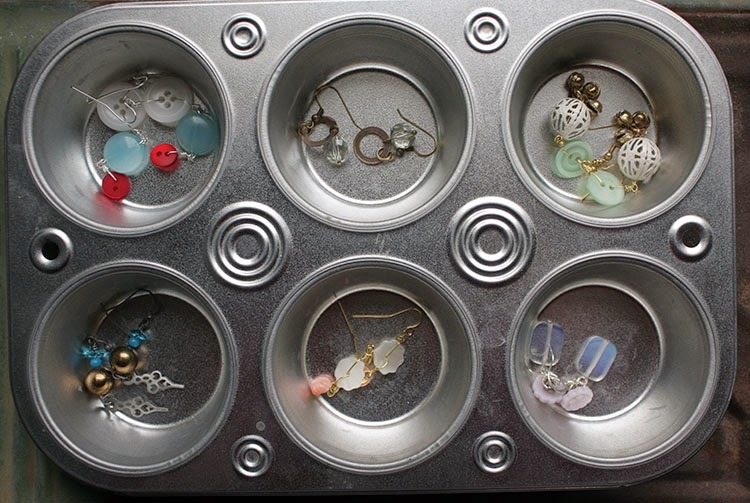 Here are my completed earrings in their tin. Those are kinda hard to see. . . Here's a little better look at them. Alright, I'll let you see them even better. Then there's the earrings and bracelets. Again, you can't see them real well in this picture. Here's how the bracelets turned out. And these are the necklaces, which I love! Like I said above, this was a perfect way for me to start the new year. I liked that most of the supplies were already gathered and the decisions were already made. With this method, creating these pieces went quickly. I'm definitely going to have to remember to use this method when I get stuck in the future. Thanks to Heather Powers of HumbleBeads for the challenge. It was just the push I needed. 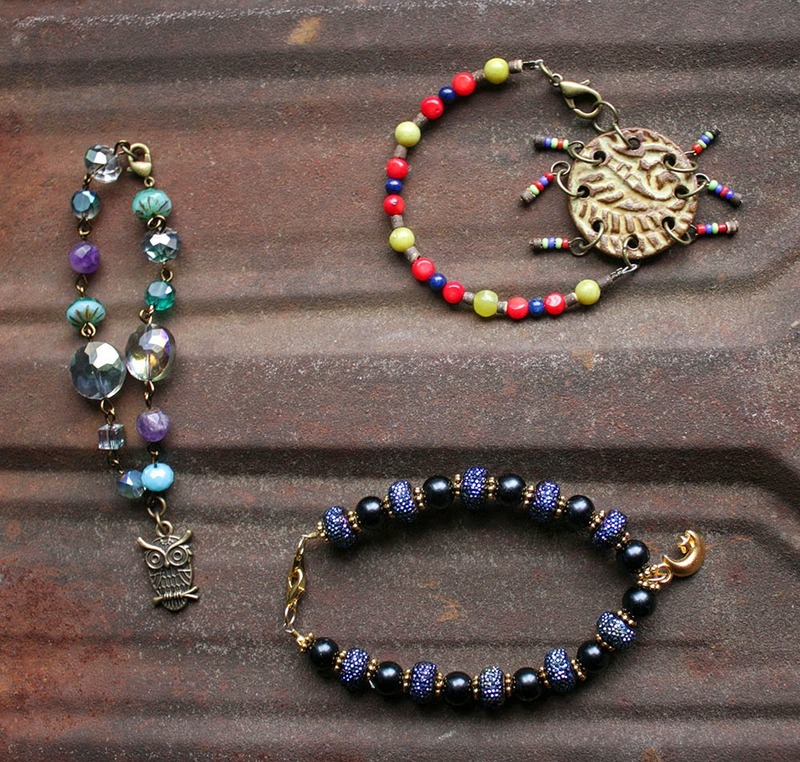 Make sure you head over to the HumbleBeads blog and check out the other designers results. Their links will be in the comments. I'd love to know what you think. Thanks for stopping by! I was looking forward to this reveal and it's been fun seeing what you created! I LOVE that necklace with the crystal piece, and the earrings are all fabulous! What a neat method...I will have to try it this way. 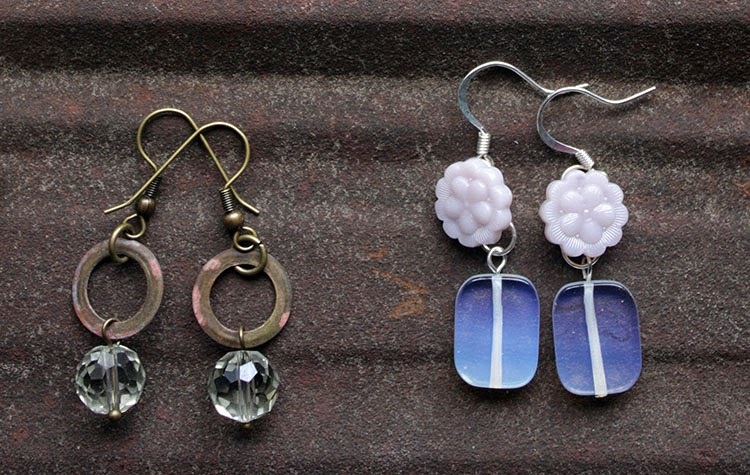 It's getting about time for me to play with jewelry making elements again. Now, I'll go see what the other designers did. Thanks for sharing. Great creations Hope! I love the necklace with the flower collage. Beautiful! Wow....how awesome. and I agree, what a way to start the year! I love the earrings with the buttons....makes me want to jump in and get started....but I have to wait til Tax season is over...it is to crazy right now....but I love seeing what everyone is doing! Great Job! Happy New Year, Hope! What a wonderful way to jump start your creativity! 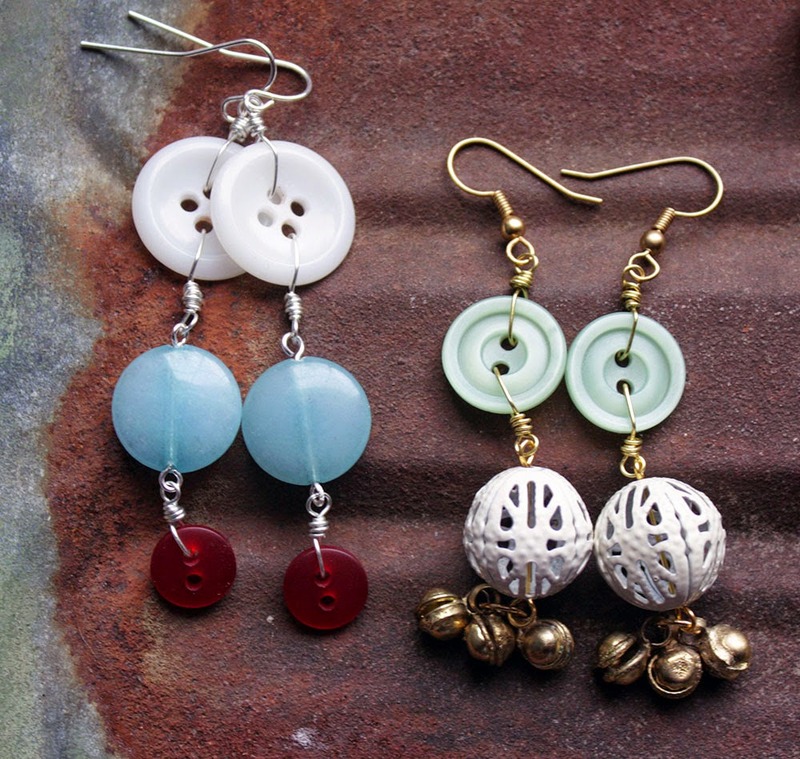 I especially love your use of buttons as earring components. I'll have to remember this technique the next time I'm in a rut. Hope, I love those earrings with the teeny tiny keys and the buttons earrings. That colorful bracelet with the very interesting focal is my favorite though. You really rocked this muffin tin thing! Lee, Thank you for your sweet compliments and encouragement. 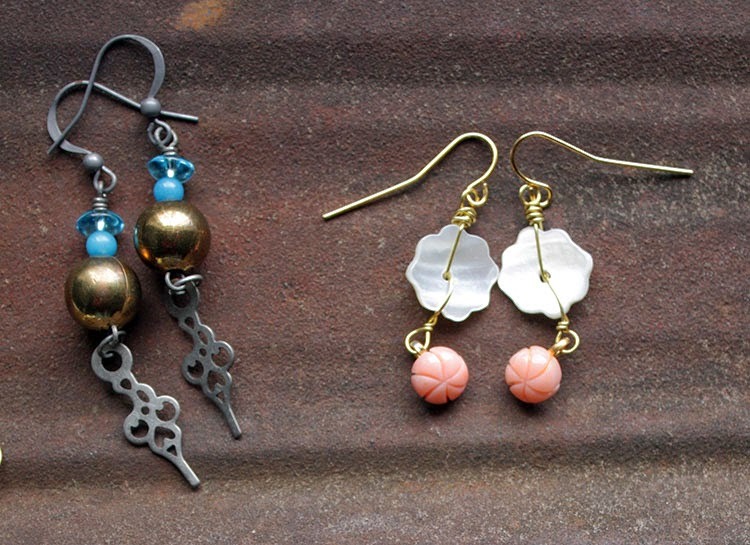 I was just glad to have a reason/challenge to get me moving with my jewelry making again. It was perfect push. I appreciate you popping by! You did all those pieces so quickly! The owl bracelet is my favorite. The muffin tin is a great way to narrow your focus. With all the supplies you have on hand, I don't know where I would even start. 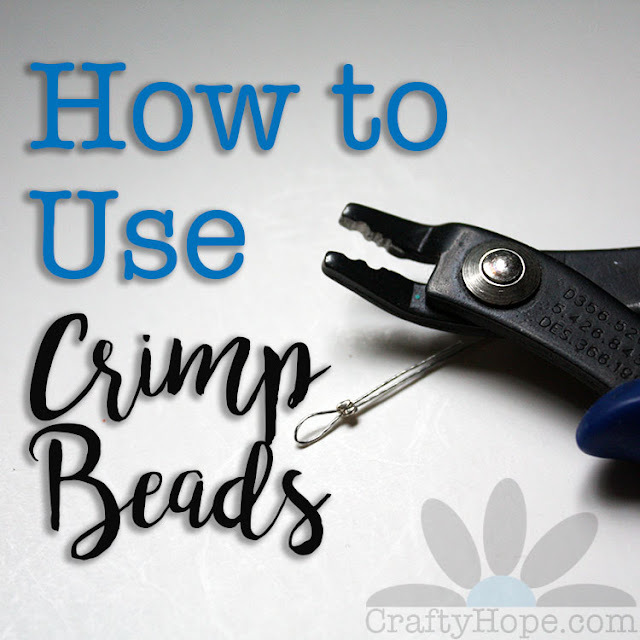 I need to take some time to watch some videos on how to make earrings.I think they'd be a great addition to hubby's booth. He doesn't do anything feminine so maybe I could add a woman's touch. Is that a piece of door hardware I see on one of those necklaces? 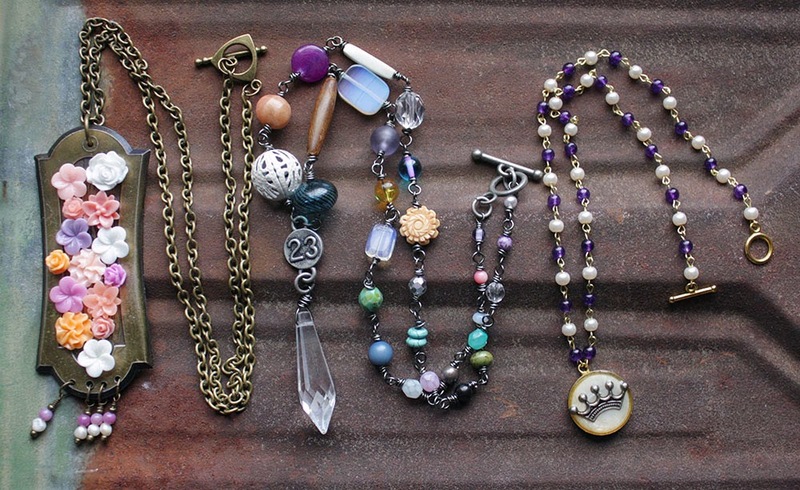 Great pieces, I love all of them but my very favorite is the necklace with the crystal, this is amazing. Thank you also for sharing your video! All your creations are fabulous Hope! Great way to light your own fire! Jenna, Thank you so much!! It was a perfect challenge. I think I might need to full up another one of those tins and make some more soon! I've hit another block since these got finished. Thanks for stopping by! I couldn't wait to see the reveal! Its amazing how many pieces you created! 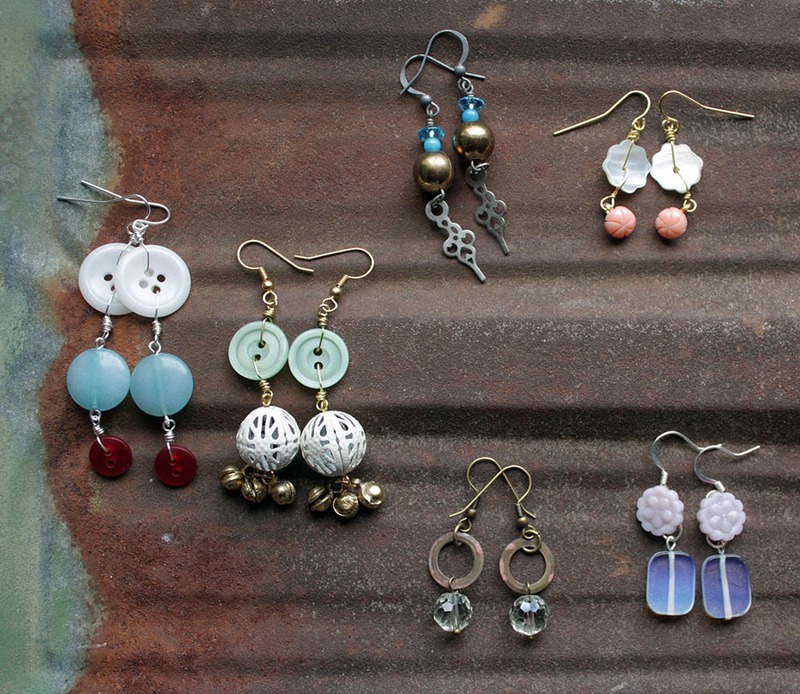 All the designs are beautiful but I love the earrings that are incorporating buttons especially the ones with the little chimes (I think that's what you call them). I'm off to watch the prep video, thanks for sharing! Sally, I'm so, so happy you like what I got made. I call those little things bells, but chimes might be more appropriate. Thanks so much for coming by for my reveal. I appreciate it so much!! This challenge was the first time I had come across this method and I loved it too! Live commenting on my phone. It decided that I should only have one thought in my last comment. Great earrings but you really hit out of the park with the crystal necklace. Girl you are amazing. All of those in that amount of time. Love them all, but I do think the owl bracelet is my fav..
Beautiful piece, just like I expected. You can link up on the original post but you have to find it on her blog. Way to go! I'm so glad the challenge helped you get a good jump on the new year. 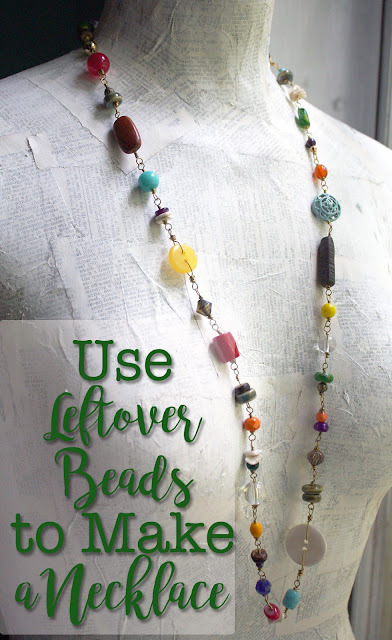 The found object necklace is so clever. I hope you'll pull out ol your tin again soon. Thanks Heather! I'm so glad you like that piece. I love found objects!! I've already re-filled one of my tins and it's sitting on my desk waiting for me. I appreciate the inspiration so much. Hi Heather I saw this challenge but thought I did not have time for it because of two other commitments. I tend to pull out way too much stuff to fit in a muffin tin before deciding what I want to use. I do plan on doing it next year though. I wish I had though to make earring then I could have joined it too. Wonderful job with what you created. There are too many pretties for me to pick a favorite.